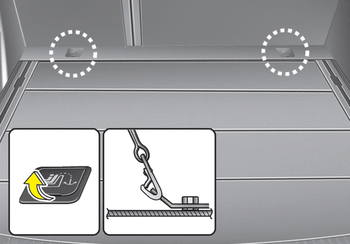 Child restraint hook holders are located on the transverse trim behind the rear seats (3 Door and 5 Door) or the floor behind the rear seats (Wagon). 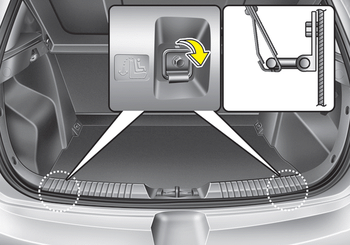 Do not install a child restraint seat at the center of the rear seat using the tether anchors. The tether anchors are only provided for the left and right outboard rear seating positions. 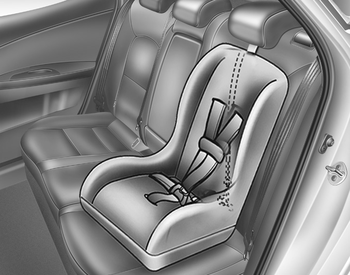 In a crash, the child restraint seat tether anchor attachments may not be strong enough to secure the child restraint seat properly in the center of the rear seat and may break, causing serious injury or death.